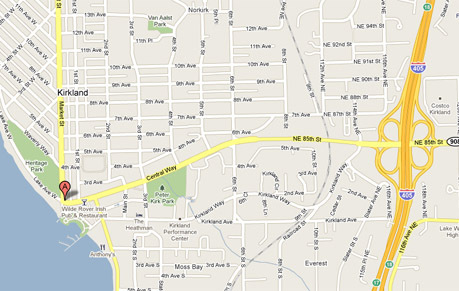 Kirkland Plastic Surgery - Aysel K. Sanderson, M.D. We are across the street from Marina Park on the corner of Central and Market Street. Our building is yellow. Residential condos on top. We are one building West of Sur La Table cooking store. Street parking available all around. Try the park or neighborhoods off Market Street. Most parking is free. Please do not park in a 30 minute slot. This is usually not enough time for our appointments.